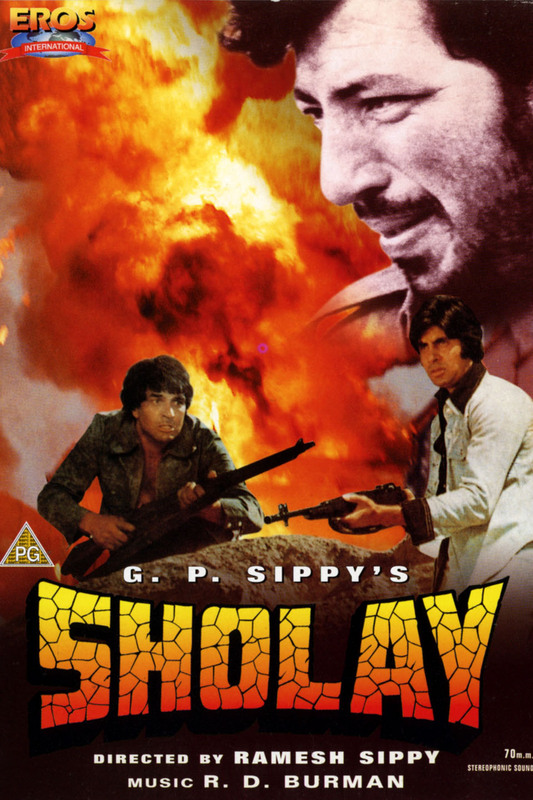 Sholay is a Indian Hindi Language Action Adventure Film directed by Ramesh Sippy, produced by his father G.P> Sippy. The film follows two criminals, Veeru and Jai (played by Dharmendra and Amitabh Bachchan), hired by a retired police officer (Sanjeev Kumar) to capture the ruthless Dacoit Gabbar Singh (Amjad Khan).Hema Malini and Jaya Bhaduri also star, as Veeru and Jai's love interests. Sholay is considered a classic and one of the best Indian films. The idea for Sholay began as a four-line snippet which screenwriter pair Salim - Javed Told G.P. Sippy and Ramesh Sippy. Ramesh Sippy liked the concept and hired them to develop it. 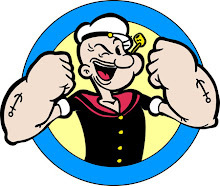 The film was loosely styled after Akira Kurusova' 1954 Film Seven Samurai. The character Gabbar Singh was modelled on a real-life dacoit of the same name who had menaced the villages around Gwalier in the 1950s. Any policeman captured by the real Gabbar Singh had his ears and nose cut off, and was released as a warning to other policemen. Much of Sholay was shot in the rocky terrain of Ramanagara, a town near Banglore , Karnataka. R.D. Bhurman composed the film's music, and the lyrics were written by Anand Bakshi. The songs used in the film, and released on the original soundtrack. Sholay was released on 15 August 1975, Indian Independence Day in Mumbai. Due to Negative reviews Film Is Not Perform Well in its first two weeks and Critics give Flop Status.From the third week, however, viewer ship picked up owing to positive Word of Mouth. During the initial slow period, the director and writer considered re-shooting some scenes so that Amitabh Bachchan's character would not die. When business picked up, they abandoned this idea. Sholay soon became an "overnight sensation". The film was then released in other distribution zones such as Delhi, Bihar,UP,Bengal and Hyderabad on 11 October 1975. It became the highest grossing Bollywood film of 1975, and film ranking website Box Office India has given the film a verdict of "All Time Blockbuster”. Sholay went on to earn a still-standing record of 60 golden jubilees across India, and was the first film in India to celebrate a silver jubilee at over 100 theatres. It was shown continuously at Mumbai's Minerva theater for over five years. Sholay was the Indian film with the longest theatrical run until Dilwale Dulhania Le Jayenge (1995) broke its record of 286 weeks in 2001. Sholay was nominated for nine Filmfare Awards, but the only winner was M.S.Shinde, who won the award for best editing. BBC India Declared The Movie " Film Of Millennium". This Movie toped the list of "Top 10 movie Of India All Time" in British Film Institute.